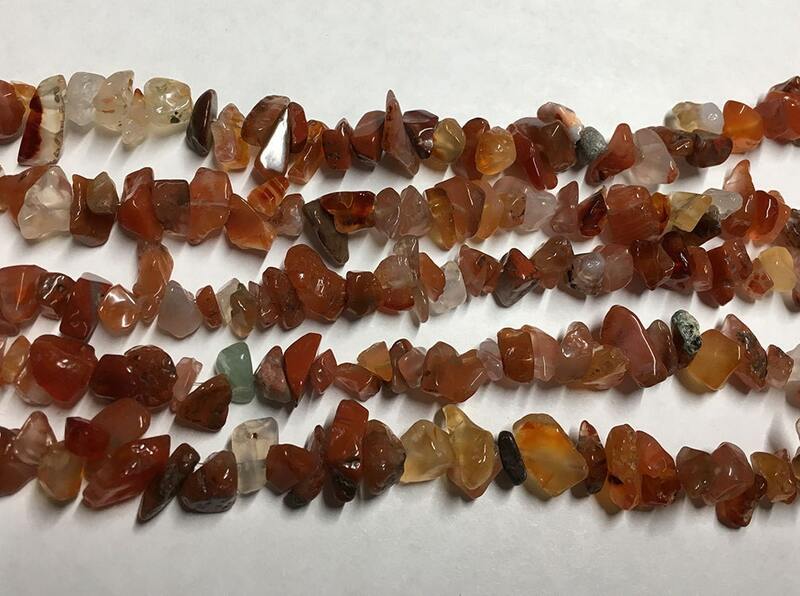 Carnelian chipstone beads in variable sizes. Natural shapes make great jewelry. Strand is 8 inches.